High ranking military personnel from 32 countries will gather in Hanoi today for the 42nd Pacific Armies Management Seminar. 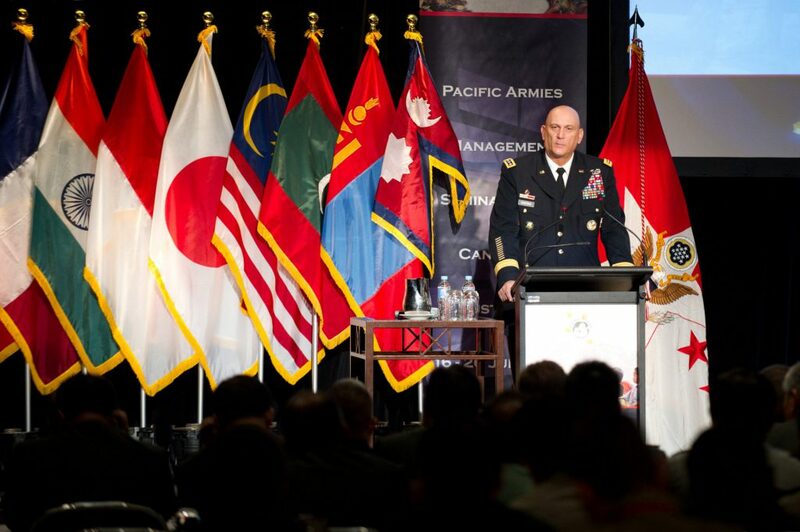 The annual conference provides a forum for senior-level military officers to exchange perspectives and develop personal relationships. With officers from a diverse range of countries in attendance, including the US, China, India and Japan, the theme of the conference generally focuses on common issues. Indeed, this year’s seminar will focus on humanitarian assistance and disaster response, with three sessions to be held on initial response, multilateral cooperation and improving regional responses to disasters. The seminar this week will hold less potential for controversy than last year’s edition, which was held in Seoul and focused on the North Korean threat with Chinese officers in attendance, but is unlikely to alter rising regional tensions. Indeed, while today’s meeting is important for military-to-military relations—useful for dealing with non-traditional security threats—do not expect major issues, such as the South China Sea or US-China trade tensions, to be addressed.